It's time for another Pick 3 Pinterest Ideas. This is the best way to get fun ideas for your classroom. 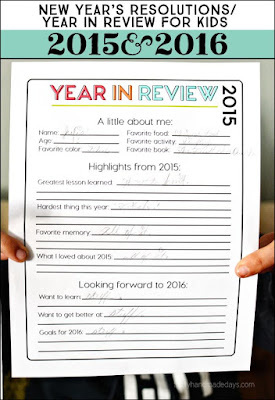 My first pick is a review of 2015 and resolutions for 2016. This great little page has it all and it's a free download! Click on picture for link to pin. These snowflakes are stunning! I love the nontraditional colors. 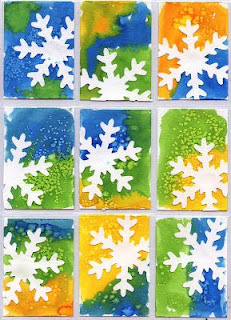 This project is the perfect way to brighten up your classroom during the cold months of January and February. Of course, you gotta have something fun for the big football games coming up in January! 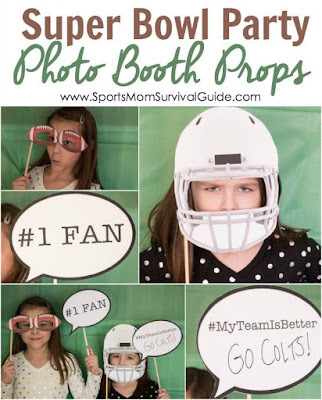 No matter who you're cheering for, these photo booth props will be a hit at your Super Bowl party. Happy New Year! I hope 2016 is even more incredible than 2015! What are your favorite pins for January? Join the fun and link up your Pick 3 for January blog post. The Best Classroom Pet Ever! Fifth Grade Literacy Centers, Free Sample! KISS your Literacy Block Time! Snow Much Fun with Elapsed Time! © 2015 Crockett's Classroom Forever in Third Grade. Felicity Template Customized by A Bird in Hand Designs Some graphics by Trina Walker All rights reserved.